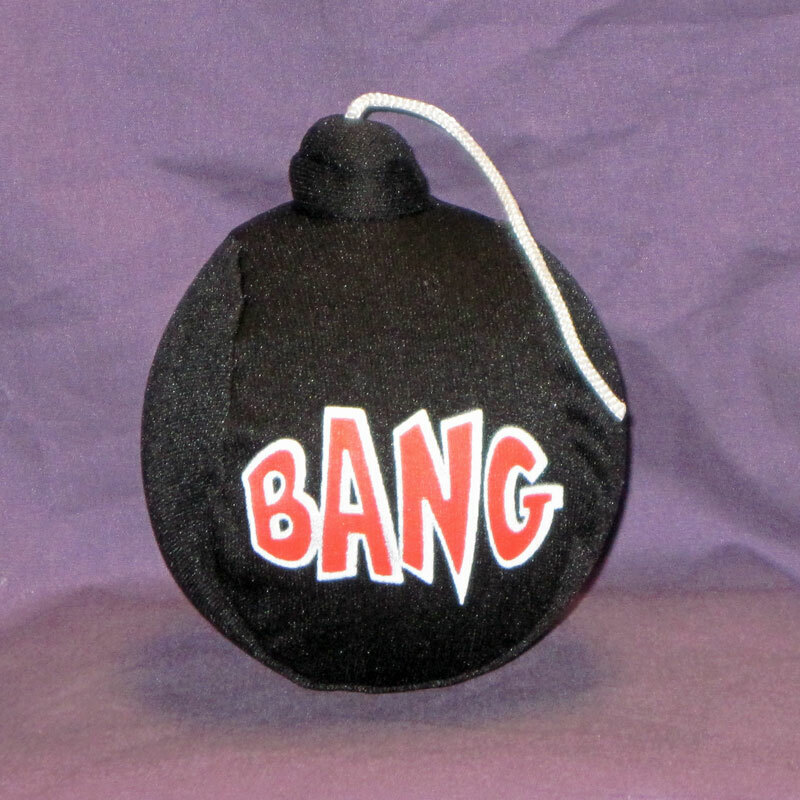 This cloth-covered sponge bomb is 4" tall and 3.25" wide and deep. The word "BANG" is on two sides. Lightweight enough to be thrown without damaging anything. This bomb is recommended as a more general play therapy. Could also be used in a dry sandtray.